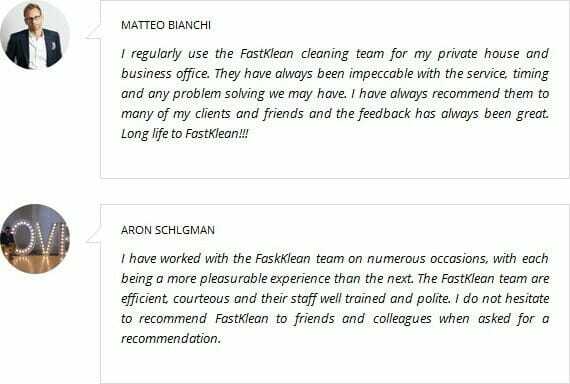 FastKlean is a cleaning company in East London. Every day we are faced with different cleaning problems, like dirty kitchens, messy living rooms, dusty furniture and stained carpets and rugs. None of us today have the time and energy to do these tasks all by ourselves, we obviously need some extra help especially when we need to tackle large spaces and very untidy homes. Having a clean and vibrant home is really one of the most relaxing feelings ever, since our homes are considered our comfort zones. Nothing beats watching your favorite movie and sipping a cup of hot tea in a cold night in a tidy living room or clean kitchen. We one of the most trusted cleaning company in East London area. When we talk about versatility, we are considered to be top of the list since we don’t limit our services on domestic cleaning only but instead over the years we had developed numerous effective and helpful cleaning services that help busy people like you. We guarantee you that our services are of great standard and provide satisfaction, you can use these services at a very cost-effective rates low cleaning rates with no trace of any hidden charge. We are considered as one of the best cleaning companies that provides quality and fair services to all. These services are carried out by our professional cleaners, who have undergone through a lot of training that enables them to become globally competent and experts in this kind of industry. Our cleaning agency assures you that our cleaners are insured and safe because they have been through extensive security background checks and thorough past employment history examination. If you have any questions about our cleaning services in East London call us at 020 8884 9149 and we will immediately respond to your call.